Since 1995, MAISON&OBJET has inspired generations of interior designers and retailers by maintaining a high level of creativity, diversity and excellence throughout the years. Helping the industry keep on top of evolving consumer trends, inspiring experiences, and brand offers, with the show that takes you into three major sections, including two new spaces dedicated to textiles. MAISON is interior decoration. OBJET is concept and retail, while the third section INFLUENCES encompasses luxury, design and architecture. Cultivate the synergy of the M&O EXPERIENCE. Take a stroll around 3 key lifestyle hubs showcasing an excess of 3,000 international brands and join 70,000 interiors professionals twice a year in Paris. 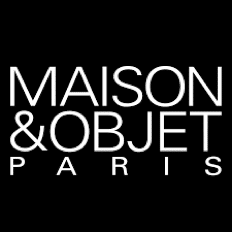 MAISON&OBJET PARIS will be following from their January event this September.